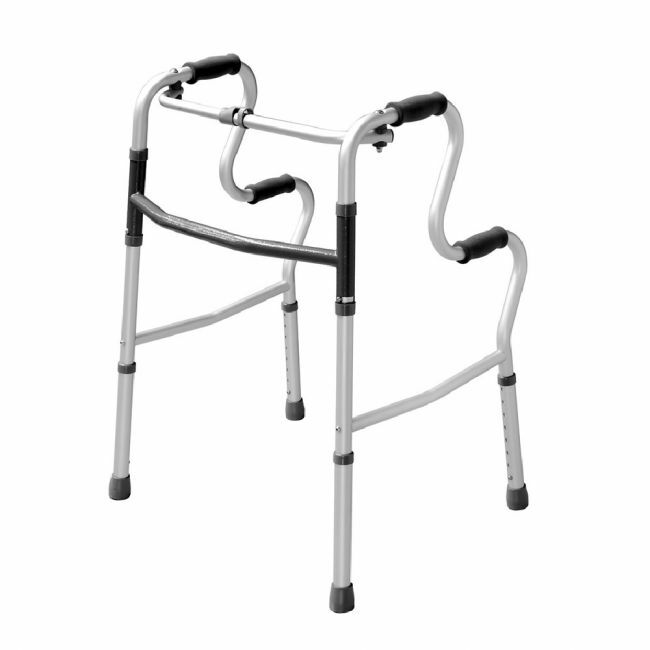 Rise from a seated position with ease with the help of a portable Zimmer frame. The hi riser walking frame/Zimmer frame offers a helping hand when it comes to standing up or navigating around the home. It's extremely easy to use, with minimal set up required out of the box. Folding the Zimmer frame takes just one touch, making it one of the easiest and most portable walking aids for the elderly available.